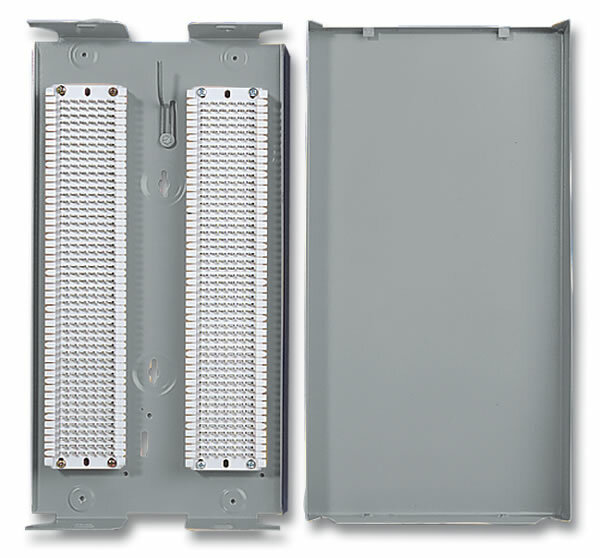 Metal housings protect blocks and connections from damage when installed in "high risk" areas such as on a wall in a warehouse or factory. Siemon's housings are manufactured from durable 18 gauge steel with a gray finish. Two options are provided — you can purchase housings with the blocks already assembled, or just the housings to install your own blocks. These metal housing are not weatherproof and are recommended for indoor use only.